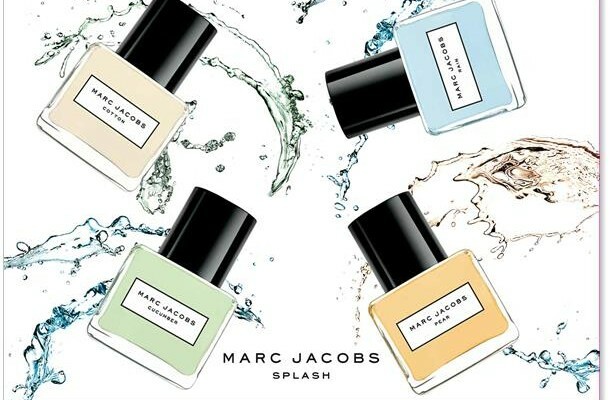 Inspired by the original Marc Jacobs SPLASH collections, four crisp limited edition fragrances bring a splash of the indulgent yet light hearted spirit of Marc in sleep, square bottles. Each splash comes in a clean and modern cube expressing the casual elegance of the Marc Jacobs aesthetics capturing the essence of summer. The fragrance quenches your senses with lush, watery, pure notes. It’s like a cool summer rain after a hot day that leaves you dewy and refreshed. The fragrance opens with the freshness of wet cut grass and pure sparkling notes of wild strawberry and clementine zest. The middle is a lush blend of tropic rain accord, passion flower and white orchid whilst the dry down is composed of beech. The subtle blue hue of March Jacobs Rain evokes a cool and refreshing fragrance. A delicious lightness that is soothing and breezy. The scent is crisp, green, and fresh. Clean, refreshing, and light. The fragrance opens with top notes of watery cucumber, fragrant lotus leaf and crisp bamboo, enhanced with a floral heart of Lily of the Valley, Linden Blossom, and Dutch Freesia. The dry down of Frosted Musk and Blonde wood lingers with a soft, sensuous air. The cool green tint of the fragrance reflects the inviting garden freshness of summer, evoking crisp cucumber kissed by morning dew. Captures the sweet nectar of summer. Deliciously fresh, ripe and juicy, it tempts the senses with its savory aroma. The fragrance is uniquely delectable and the perfect summer indulgence to enjoy. Developed by Honorine Blanc of Firmenich, the fruity woody fragrance opens with the tantilising aroma of fresh, ripe pear invigorated with Bergamot and lemon peel. The heart of Juniper, Gin accord and Freesia imparts a sweet richness, musk, teakwood and a soft amber round out the balance of notes with smooth softness and warm sensuality. A reminder of the cleanliness and comfort of a freshly washed t-shirt. The scent is fresh and airy while remaining soft and warm. The top notes of peach, mandarin, Bergamot and aquatic accord bring a freshness to the fragrance with Lavender, jasmine, cotton accord and Lily of the Valley bringing that cleanliness and comfort. Base notes of white suede, blond woods and musk captures the ease of the fragrance. MARC JACOBS SPLASH 2016 each EDT is 100ml rrp $69 and available for a limited time at Myer and David Jones.